The Lilliput 665/O/P/S is a 7" widescreen LCD HD field monitor with SDI, HDMI,Composite, and Component Video inputs (BNC). Features include peaking functions, focus assistance, and an additional sunhood for outdoor usage. Lilliput's 665-O/P is a versatile 7" monitor. The high resolution 7"LCD displays bright, clear images in a small sturdy form factor. An ideal monitor for the adventurous photographer. The 665-O/P is one of our most versatile monitors to date, offering the user a much increased viewing area when compared to the cameras native internal viewfinder. Combined with the functionality of the built in focus assist and peaking tools, the 665-O/P is the ideal tool for users trying to get the most out of their DSLR cameras. To get the best of pin-sharp pictures, the 665-O/P/S2 has a raft of refinement applications preloaded into the monitor to help. It features fully specced Waveforms, Peaking, Histograms, False Colour, and Pixel to Pixel modes that will help turn your good shots into GREAT shots. The 665-O/P features a native 1024 x 600 panel, with intelligent upscaling when receiving higher resolution HDMI signals -meaning that you can display 1920 x 1080p resolution imagery on a super small screen. This high resolution gives an extremely detailed image- opening options in the post-production environment,and making it an ideal choice for the discerning professional user. The 665-O/P features an ultra high 800:1 contrast ratio as a facet of its advanced design. As a result, the onscreen image is a highly accurate rendition of the video - helping to avoid issues of colour continuity in post-production. For added practicality, the 665-O/P also supports 4 user programmable function buttons. If you use a feature regularly, instead of hunting through menus you can assign them to a specific button on the face of the monitor - increasing the effectiveness of your workflow. Most DSLR cameras feature only a single HDMI output,meaning need to link to more than one output you'd need a splitter. The 665-O/P further eases this problem as it can be daisy-chained to another monitor to build a video array - or indeed connect to any other HDMI monitor. The 665-O/P has been designed to accept a wide range of input voltages - from 6V to24V. This allows for connection to a multitude of power sources, giving greater flexibility when used in outdoor environments. Following on from our earlier models which featured improved viewing angles,the LCD panel on the 665 was enhanced still further,allowing the image to be viewed by a large production crew simultaneously. With the 665-O/P/S2, two battery plates are bundled, from a selection including a DU21, QM91D, and F970. When purchasing please select your requirement on the website or call for advice. V-type and A-N battery plates are also available - please enquire for pricing. Pleasenote: Returns on this product will not be acceptedby Lilliput UK Ltd withrespect to incompatibility problems. Most DSLR cameras now feature HDMI output, but larger production cameras output high definition via component signal. The 665-O/P/S2features 2 1/4" BS Whitworth threadinserts, allowing the monitor to bequickly mounted on either a tripod or camera. Lilliput HDMI monitors are designedfor optimal use with DSLR camera and video rigs. 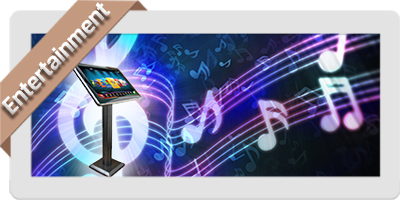 Lilliput monitors are ideal forsmall form factor multimedia systems such as karaoke systems, DJ setupsand as confidence monitors for home cinema systems. Q. What connections can be used to attach my camera to this monitor? A. The 665GL-70NP/HO/Y can attach using an HDMI connector (mini HDMI to HDMI is included in the box), Composite connections, and Component connections. The Composite / Component connections are made using a BNC connection – converters for these are available upon request. Q. Does this unit have a touch screen? A. No – the smallest screen size we have with a touch screen is the model 669GL-70NP/C/T. Q. What is the power requirement of this monitor? A. The power supply included with the unit is a 12V 2A standard wall socket connector. The unit itself uses 9-24V, and the current usage is 650mA (50mA in standby). It is also equipped with an XLR 9-24V DC connector on the back of the unit. Q. Can I use my camera batteries to power this monitor? A. Yes – you can use certain types of battery to power this monitor. We supply converter plates which make the monitor compatible with the following types of battery : Canon LP-E6, Sony F-970, Sony QM91D, Panasonic DU21. An internet search for your camera model number should detail which battery you have, and whether or not it is compatible. Q. What are the monitor dimensions? Q. What resolutions does the 665GL-70NP/HO/Y support? Q. How many pixels does the panel have? A. The panel has a native resolution of 800 x 480, giving 614440 pixels on screen. Q . What does the unit weigh? Q. Can this unit be used for outside shooting? A. 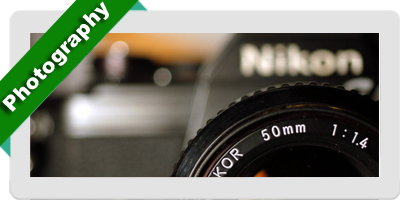 Yes – the 665GL-70NP/HO/Y has a screen brightness of 250cd/m and a Contrast ratio of 700:1. It also comes supplied with a sunshade to give added extra protection. Q. Can I attach headphones to this monitor for sound? This battery plate allows for the use of Anton Bauer batteries with Lilliput 665GL monitors. Ex.. This battery plate allows for the use of Panasonic DU21 type batteries with several Lillput monitors.. This battery plate allows for the use of Sony F970 type batteries with several Lillput monitors type.. This battery plate allows for the use of Canon LP-E6 type batteries with several Lillput monitors ty.. This battery plate allows for the use of V-lock mount style camcorder batteries with Lillput 665GL, .. This battery plate allows for the use of Sony QM91D type batteries with several Lillput monitors typ..
11" articulating magic arm with ¼ inch BSW thread and shoe mount adapter. Compatible with Lilliput m..
Description# Cable Length (cm): Just Cable: 150cm, With Connectors: > 162cm# DC Connector: 2.1mm ..
Converts BNC connections into RCA connections. Allows the connection of composite RCA cables to BNC ..
Sony F-970 Compatible battery for use on Lilliput monitors that have been supplied with the F970 typ.. This 7" sunshade is a direct replacement for the sunshade in the 665 and 5D-II model Lilliput monito..
High quality BNC lead for AV, computer, DSLR and CCTV applications. Features fully shielded hi..
Travel bag and sunshade all in one - this carry case has space for a single 7" field monitor and com..